Every person with an internet connection is overwhelmed by email these days. Even if you wanted to, it’s impossible for a person to carefully read every singe message that comes into your inbox. The barrier is no longer just getting a person’s email address. The battle now is making sure they actually get something out of what you send them. I’m not just talking about open rates here. Today, the notion of personalized content curation is the biggest trend in marketing. Opening a message doesn’t mean the receiver actually read it, and reading it doesn’t mean they actually got something out of it. This is about creating content that makes the reader take an action. And yes, the end goal is to make a sale, but there are a lot of steps before you sign a contract. Lead with advice that solves a problem in the customer’s day-to-day life. Be an authority in your industry, and share that expertise widely. Content is evolving, so you’re going to need to build your authority using more than just text and creative copy—the game has gotten more complex. Use videos as your calls-to-action, and build education around conferences and live events. Once you’ve gained the trust of the prospect as a person rather than just a revenue source, that’s when sales conversations can begin. You’ve probably heard this buzzword around marketing circles: account-based marketing, or ABM. ABM means focusing your energy on expanding a strategic number of customers to be a large part of your company’s focus and revenue. Your selling process becomes very focused on just a few key accounts, meaning you can be a true partner to those businesses rather than just an add-on, one time provider. At first, ABM was mostly used for enterprise companies who could afford to turn away smaller engagements to focus on the big accounts, but that’s no longer the case. Most businesses have opportunities to grow engagements for the customers with whom they’ve had the most success. Rather than constantly focusing on bringing in new names, take a look at what you can do for the names you already have. If your customers aren’t willing to be your advocates, you likely have a larger problem than content. Marketing technology makes it really easy to reach thousands of names in just a few clicks. 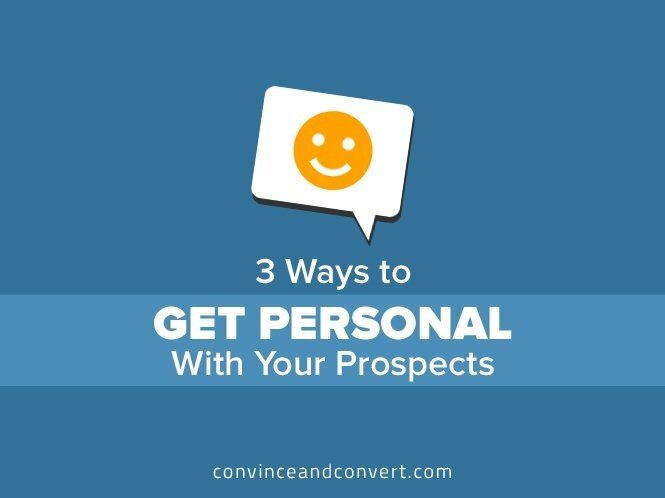 You’re never going to have time to know the name, hometown, and favorite food of every one of your prospects, but there’s something between a completely faceless email and a BFF. It’s your job as a marketer to make each prospect feel that your company is seeing them, listening to their needs, and adding value to the challenges they face. How do you make sure you’re doing that? You track numbers other than net-new leads. You incentivize your marketing team on revenue, and you get them invested in closing the sale. You keep track of how many people read your content, and what they do as a result of it. The goal is to bring in good names, not just any names at all. It may take a shift in thinking for your marketing team to start thinking like sales and realize that the battle does not end when a prospect signs up for an email list. The battle doesn’t even end when you close a deal. The battle continues, as a mutually beneficial partnership that requires constant attention. The sales team has a dollar amount they need to bring in to meet their quotas. Think of marketing the same way. You’re less likely to waste time on leads that won’t go anywhere if you’re closely tracking results. If you still think simply building your email list is a win alone, you’re not ensuring the future for your business. By meeting prospects with real insight, building relationships with existing customers, and incentivizing your team on revenue rather than net-new names, you can look forward to a world beyond mass-approach marketing.